Think about it. Buying and using craft supplies are actually two different hobbies. What is the difference? A crafter is a person who uses their hands to skillfully create something. Obviously, buying craft supplies is different from actually using the supplies themselves. As a professional organizer, I work with many creative and artistic people. I love working with them because they tend to have so many interests and love to be express them so creatively. Because of this, they tend to collect a lot of items. The creative wheels spin every time they walk into a craft store such as Joann Fabrics, Michael's or AC Moore! If you are attempting to declutter, you might want to take a look at your supplies and equipment. Owning craft supplies does not make you a crafter; using them does. Just like owning musical instruments does not make you a musician, playing them does. You don't need to be a great artist, you just need to enjoy using your craft supplies on a regular basis. There are reasons why you may want to keep certain items, but you need to make sure they are good reasons. Consider giving yourself a deadline for decluttering unused equipment and supplies. For example, if you purchased a large amount of yarn with the intention of making sweaters but you have not used the yarn in a year, you should consider selling or donating the yarn and stop purchasing more yarn. Keep only what you want and intend to use soon without purchasing more. Avoid "bright, shiny object syndrome". It can be so tempting. I think that having a hobby that you enjoy is wonderful! Taking the time to create something that you can appreciate, give to a family member or a friend can bring great joy! It creates great balance in our lives. However, we must be aware as to how much we are collecting as opposed to what we are using and make sure we are able to store our supplies in a well-organized fashion. Collecting is not the same as crafting. 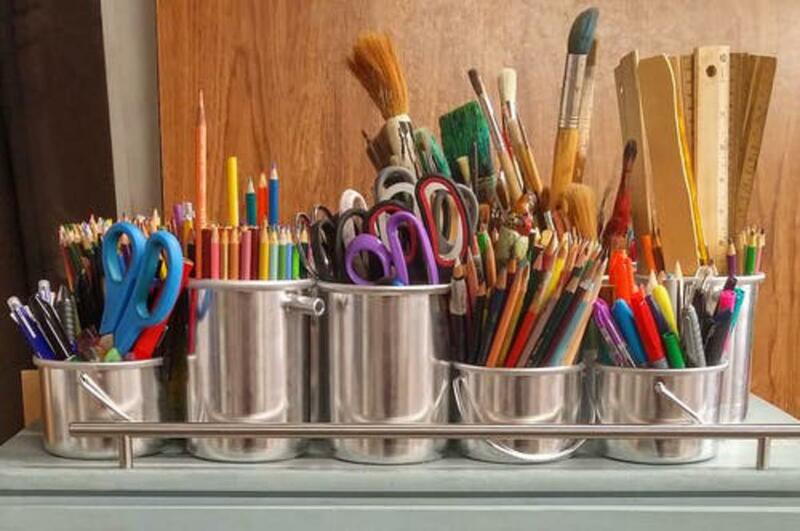 So, are you a crafter or a simply a collector of crafting supplies? If you are overwhelmed with your crafting supplies and seeking solutions that can encourage you to create, don't hesitate to contact me. I am here to help.